October 28, 2009  President Obama signed into law the Matthew Shepard Hate Crimes bill, which extends the definition of federal hate crimes to include attacks against people based on gender identity, disability and sexual orientation. October 28, 2009  Wednesday afternoon, President Obama will sign a new hate crimes bill into law, extending the definition of federal hate crimes to include attacks against people based on disability, sexual orientation or gender identity. It is an update to the federal hate crimes statute that Congress initially passed in 1968. October 19, 2009  U.S. Attorney General Eric Holder is discouraging federal prosecutors from going after people who comply with state laws on medical marijuana. It's a significant departure from the Bush administration. October 8, 2009  Government lawyers are trying to decide where to detain people captured overseas in the future. No matter where the detainees are held, there are military, diplomatic, legal and political obstacles. 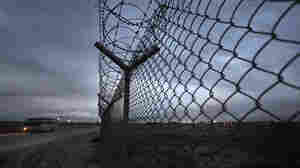 Now the administration is thinking creatively for a Plan C.
October 8, 2009  As the Obama administration moves toward closing Guantanamo, the question becomes: Where will the U.S. hold terrorists captured overseas? There are political hurdles to holding them in the U.S., but foreign countries may not want them either. September 26, 2009  The Obama administration has decided not to ask Congress for a new law that would allow terrorism detainees to be held indefinitely — in other words, it'll stay with the rules set up right after the Sept. 11 attacks by the Bush administration. What does this decision say about Obama as president? September 23, 2009  Under new rules, the government must convince the attorney general that releasing information would cause "significant harm" to national security. The rules are a break with the Bush administration, but officials are pushing to extend other Bush-era security policies. September 15, 2009  The Obama administration has filed court briefs arguing that detainees at Bagram Air Base in Afghanistan are not entitled to the same legal rights as those at Guantanamo Bay, Cuba. That disappoints human rights groups, who had hoped the new administration would break with the legal arguments of President Bush. Are Ex-Bush Officials Liable For Post-Sept. 11 Acts? September 15, 2009  The legal justifications used by Bush administration officials to detain people after the Sept. 11 attacks remain controversial and legally murky. Some former detainees are seeking to hold former officials personally accountable through civil lawsuits, with mixed results. September 9, 2009  A recent study questions the scientific validity of many forensic techniques routinely used in criminal prosecutions. Lawmakers at a Senate hearing on Wednesday asked whether people have been put to death for crimes they didn't commit based on these techniques. September 4, 2009  The unemployment rate jumped almost half a point to 9.7 percent in August. That's the highest level since 1983. A poor job market will make it hard for the economy to begin a sustained recovery. The recession has eliminated a net total of 6.9 million jobs since it began in December 2007. There are now 14.9 million Americans unemployed. September 4, 2009  Amidst charges of voter fraud, ballots are still being counted in last month's presidential election in Afghanistan. The next batch of partial results will likely be released Saturday. It could take weeks to find out if any candidate won the polls outright, or whether there wil be a runoff election. September 2, 2009  Commuting by bike is cheap and environmentally friendly — but it's not so easy to park securely. A new bicycle storage system in Washington, D.C., aims to solve that problem for commuters who take the train. 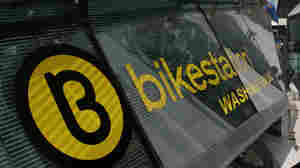 The Bikestation will house 130 bicycles.